A year ago a group of religion teachers at HKIS began teaching a new series of courses called “Spiritual Explorations” (SPEX) at HKIS, which started with grade 9 students in January, 2018. In a previous entry, I shared the first unit of SPEX 9 on “waking up” to a spiritual life and students’ positive responses. The SPEX pedagogy, I proposed, involved three defining characteristics, which I summarize below as context for this entry. The focus in this piece is to go “under the waterline” and speculate on the epistemological foundations of the SPEX curriculum, the deeper philosophical commitments of the SPEX teaching team’s approach to knowing itself. Over the next three years religion teachers at HKIS will expand the SPEX concept to grades 10, 11, and 12. The overall goal of the course is to prioritize spiritual experience over head knowledge. Every class, then, includes a spiritual practice, and most of the assignments ask students to cultivate these practices at home. Such practices usually engage the body and the heart far more than the mind, which reflects the first defining characteristic of the SPEX pedagogy: moving from a mind-centric view of education to one that employs spiritual practices to develop body-mind-heart coherence. A second distinctive characteristic of SPEX is that it is event-oriented. Because the class only meets once a week, teachers cannot depend on detailed content retention of past classes; therefore, teachers create individual classes that have content and activities with a singular, easily recalled focus (e.g., burning our regrets in a fire; waking up to our school campus through conscious walking). A third unique feature of SPEX classes is that grades are nearly inconsequential because SPEX is a pass-fail course. In SPEX 9 students needed to successfully complete four major assignments at a “pass” level; most students seemed to understand that the course structure itself implicitly values spiritual experience far beyond any externally-focused academic achievement. All three aspects of the new SPEX approach – practice-based, event-oriented, and grade-neutral – are distinctive departures from conventional educational norms. Cosmopolitan and well-educated, this is a specialized community of Euro-American professionals from the upper middle class…a subsector of America’s intelligentsia…well-traveled and globally aware….The Christianities they practiced in childhood could not bear the weight of the world’s breadth as they knew it – neither the goodness and wonder of its expansiveness nor the burdens of its violence and contradiction….Yet rather than becoming secular in response to churches which they felt were at odds with worldly complexity, this group responded by taking up a seemingly paradoxical commitment to deepen knowledge while simultaneously allowing for doubt, ambiguity, and mystery in their understandings of the divine (14). The SPEX teachers, indeed, are experienced and well-traveled international school teachers who care deeply about suffering in the world, and who find teaching in a place like Hong Kong highly engaging. The teachers also feel that the religious traditions of their youth failed to grapple with the world’s complexity in all its beauty and distress, which has driven them to explore all forms of knowledge – secular and religious, Christian and non-Christian – in search of the root of humankind’s existential dilemmas. In short, their vocation as international educators is dedicated to relieving suffering in their students. “For this community, the largesse of a chaotic world did not prompt clinging to dogmatic tenets, but instead inspired a creative bridging of knowing and ‘unknowing.’ This dynamic tension between scholarly knowledge, lived experience, and religious ambiguity suggests an epistemological embrace of a complex world that allows for no easy answers” (14, bold mine). I would like to suggest, then, that Pryce’s insights above accurately characterize the SPEX approach to understanding the world in all its mesmerizing and disturbing complexity in contrast to the teachers’ religious upbringing. Scholarly knowledge: While most of the teachers were raised in parochial communities that inculcated beliefs through worship liturgies, creeds and catechisms, the SPEX teachers have distanced themselves from these frequently uncritical pathways, for these explanations are usually oversimplified. Such ambiguity risks, or perhaps guarantees, needing to live without satisfying answers to many questions. This drives SPEX teachers to search further afield, including scientific and secular forms of knowing as well as drawing from the world’s religious traditions as trustworthy guides for their developing worldview. A rich diversity of sources is needed to teach the wide-ranging SPEX curriculum. Lived experience: Breaking away from the centrifugal force of parochial upbringings has resulted in educators who trust their own subjective experiences more than that of received, tradition-transmitted explanations. This emphasis on the centrality of personal meaning-making explains the prominent role of spiritual experience in the course. Religious ambiguity: While most SPEX teachers come from Christian backgrounds, genuine respect for all religious traditions and an openness to perceiving various religious traditions’ similarities rather than their differences characterizes their approach. 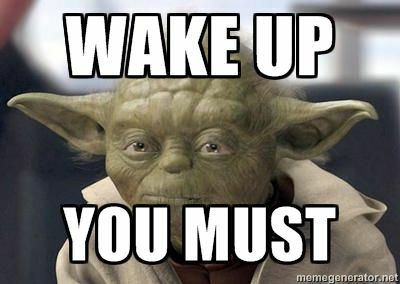 The first year’s theme of “waking up,” for example, is a shared interreligious concept. So teachers ask themselves: what aspects of Hinduism, Buddhism or Islam enables their followers to awaken to divine reality? Spiritual resources from the world’s major religious traditions are marshalled in support of the overall goal of awakening rather than privileging, for example, the Christian faith above all other traditions. Sacred revelation privileged above secular understanding. All knowledge is welcome with no clear distinction between sacred and secular. Lived experience is understood, interpreted, and articulated within and through a tradition’s epistemological constructs. The questioning and deconstructing of meta-narratives, including one’s received tradition, places the locus of validation upon individual human experience. Received sacred tradition considered true and all others to some degree wrong, incomplete, or empty. Openness to all traditions, in search of specific inter-religious themes that are true by virtue of their near unanimity across the world’s religious traditions and in accordance with lived experience today. It is not surprising, then, that SPEX teachers feel that they are breaking new ground in the creation of the SPEX curricula. Whether in the daily lessons in the classroom or in its deeper philosophical commitments, teaching SPEX involves a significant departure from the manner in which religious truths were communicated to these teachers in their own formative years. It is understandable, then, as expressed in my last blog entry, that these educators approach their teaching with a mix of boldness and trepidation: the former as they are meeting students’ spiritual needs now more effectively than before; the latter as they hear the real or imagined voices of disapproval from parents, teachers, and elders who faithfully raised them in a religious community that served these teachers well at an earlier time in their lives. This presumably is the ambiguity of religious innovation across time. SPEX teachers seem aware of the experimental nature of the curricula they are creating year by year. Thus, it comes as some comfort to find that their path appears to be following the same trajectory as American contemplatives, especially in its non-monastic manifestation, best seen in the work of Cynthia Bourgeault. Perhaps French paleontologist and Jesuit priest Pierre Teilhard de Chardin foresaw such a course like SPEX emerging in the future when he named a new intellectual entity coming into being across the planet called the noosphere**, a global human community united by a shared planetary wisdom. The prolific scholar, who was exiled to China in the 1920’s during his most productive years for his daring theological writings, sought God’s presence through scientific exploration and spiritual contemplation in equal measure. SPEX teachers are fortunate to belong to a community of like-minded educators, most of whom have said that SPEX 9 was their most rewarding collaborative experience of their careers. And perhaps the reason why is that at a deeper philosophical level these teachers found co-innovators and even co-conspirators who subconsciously understood that new wine couldn’t be poured into old wineskins. At some point new containers of truth were needed. *Humanities department mission statement: We believe that a humanities education inspires students and teachers in a thoughtful, collaborative exploration of the human experience. We value the question as much as the answer, the process as much as the product, and connections as much as the content. We commit to an environment where empathetic, socially conscious learners act in local, national, spiritual and global communities. Christianity. New York: Oxford University Press. This entry was posted in inner awakening and tagged cynthia bourgeault, Spiritual Explorations, spiritual practice, teaching spirituality, teaching world religions, vocation, wisdom, Wisdom Tradition. Bookmark the permalink.